Each morning, at the moment, I cycle over this bridge over the harbour. With people like this. 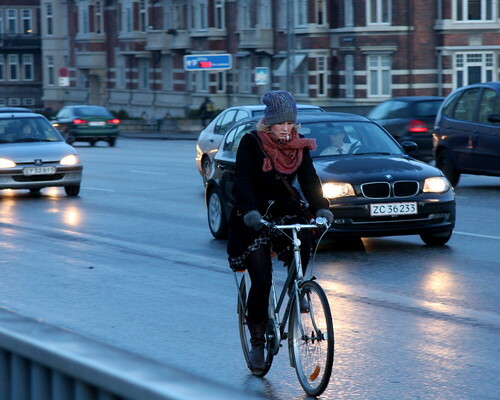 If I was a cyclist in copenhague i would be the whole day prosecuting you until you click me! Does anyone ever get upset about being photographed? why would they? 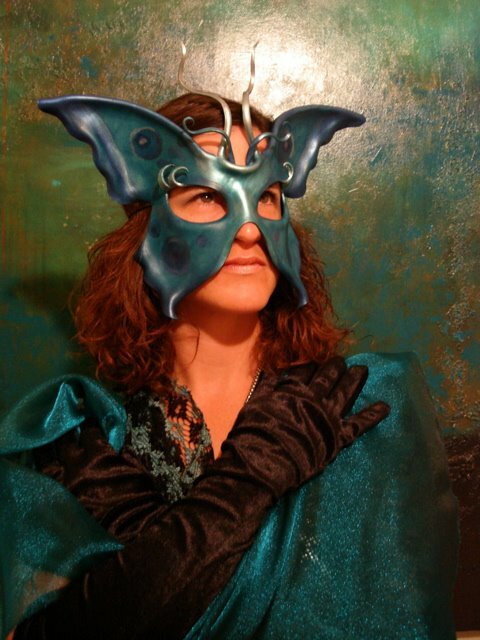 those who do see themselves on the blog and contact us are usually thrilled. they usually get the photo emailed to them. is that your son's bike in the back? thanks. nah, that's some other kid's bike. Does Copenhagen have a version of the United states department store bicycles that retail for about 95 USD or roughly 550 DKK? 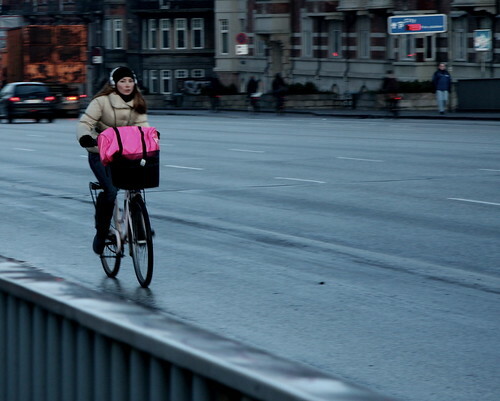 How much dose a chic bicycle run a copenhager on average? it's tough to compare prices, given the different standard of living. about the cheapest bike you can get - at a supermarket - is about 1000 kroner - $200. But for a decent bike you need to spend at least 3000 kroner - $600. 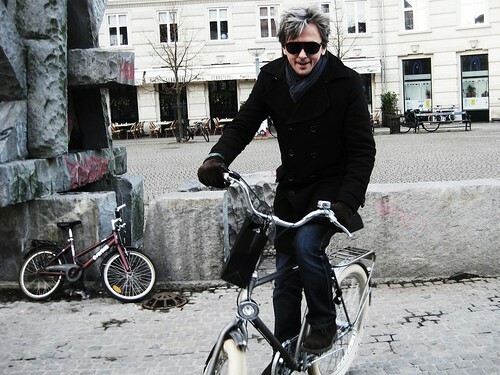 For a beautiful, quality bike, like a Velorbis or suchlike, you'll spend about 6000 kroner - $1200. it would be an honour to be snapped by you, KT!